Looking to increase the popularity of your product and generate great revenues? Then smart and fast marketing is the way to go and one of the easiest ways is to invest in attractive packaging boxes. Custom boxes add a grace to your product. 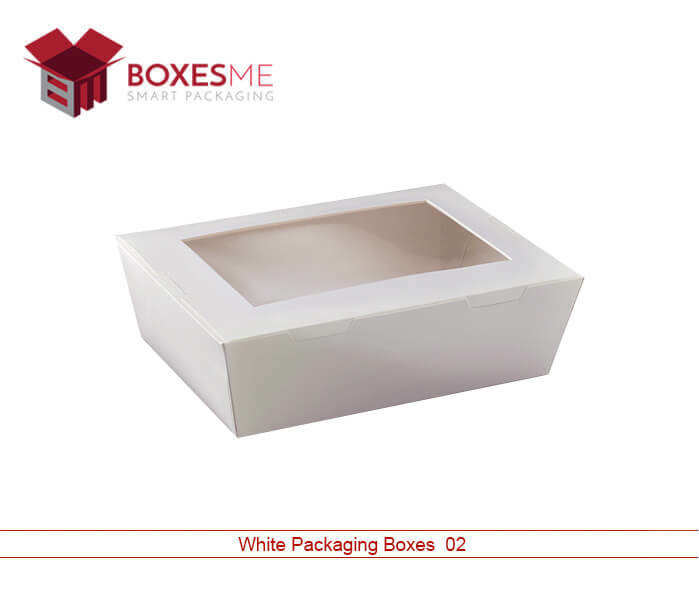 White packaging boxes are in high demand due to their amazing display and superb stylish finishing. The mono colored material used in manufacturing the box is so elegant that no customers will be able to take their eyes off the box. You can benefit from these boxes by using them in numerous ways. Which boxes is better Custom Gable Boxes Wholesale or Premade Gable Boxes? Premade boxes are available every-where in market. They are great for securing a product but as they are easily available, your product will look no different from others in the market. Same premade boxes confuse the customer as they think all the products are same. Putting product in same box will give you no big advantage. 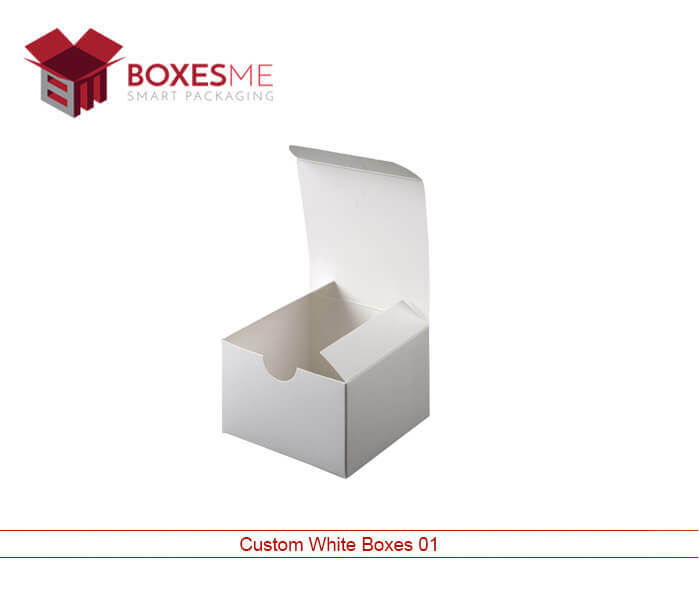 Custom made white packaging boxes are great alluring customers and achieving top position in market. Printing logos is important to help customer identify the brand. Many companies provide in-house designing services to customize the boxes so they can cope with the standard of your product. Packaging plays a vital role in generating great revenues and establishing good brand image of products on customer’s mind. Variety of packaging options are available in market like Double Locked Wall Lid,Double Wall Tuck Front Boxes,Full Flap Auto Bottom,Gable Box Auto Bottom,Hexagon Boxes and white packaging boxes. 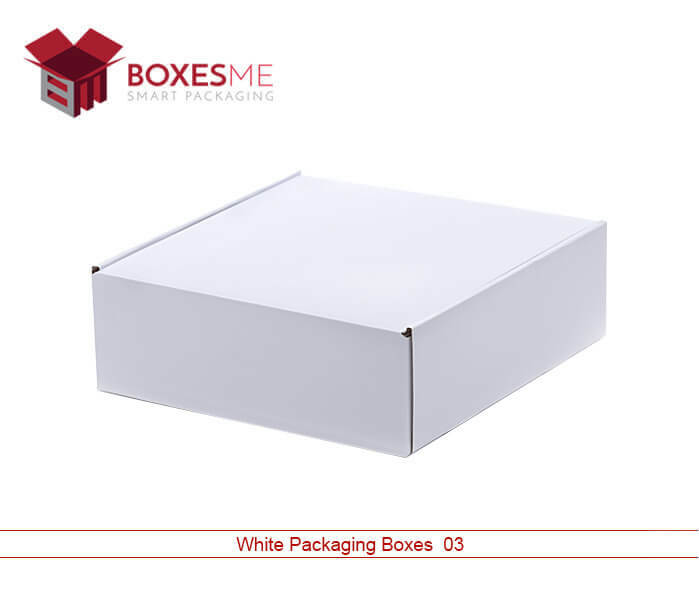 White packaging boxes are very profitable as they are made of affordable material and Increase Company’s sale. These satin white boxes are available in many shapes and designs including cube, handle, gable and panoramic window cut. 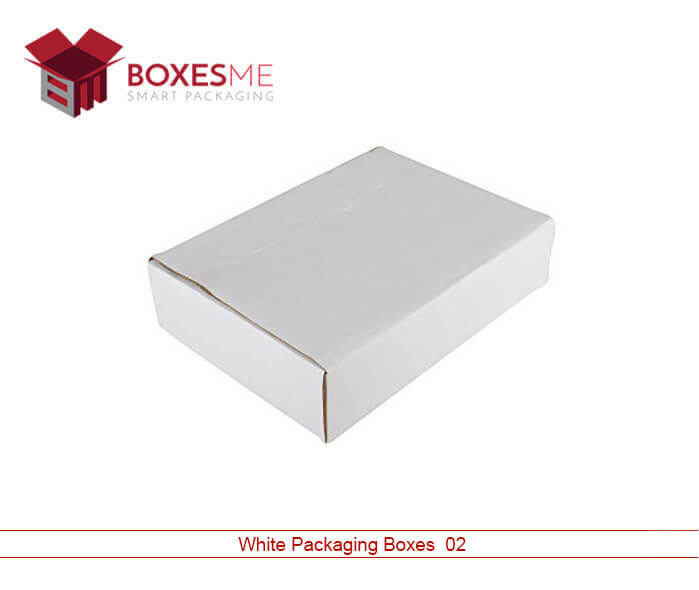 White Packaging boxes are in much demand due to their elegant and cost-friendly material. These are made of eco-friendly cardboard, Kraft and corrugated stock whose beauty is enhanced by using different finishing techniques like Glossy, Matte, Aqueous Coating and Spot UV. Cardboard is a heavy duty paper stock used to different products that are relatively lighter in weight. Corrugated boxes are made of three layers: an outside liner, a flute in between and an inside liner. They are very durable and provide great strength. Kraft is high elasticity, eco-friendly and high tear resistance stock used to secure products from any danger. BoxesMe has been serving its valuable customers since a decade by bringing out best designs and high quality material while being very price effective. We have a large variety of boxes to cater all sorts of needs. 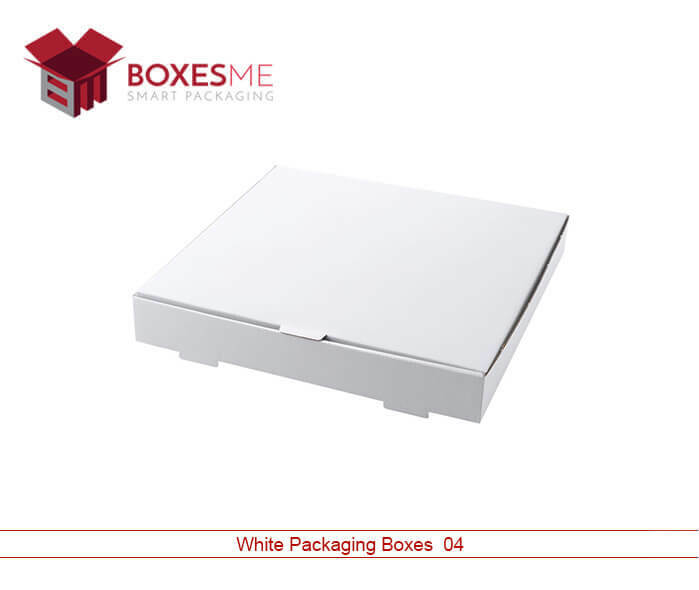 Our white Packaging boxes are highly recommended by our customers due to their biodegradable material. We tend to provide boxes at a very low price while using the best material. We also customize boxes by using different and latest technologies to give your customers best experience on and off the rack. Don’t forget our direct and free shipping anywhere in USA.